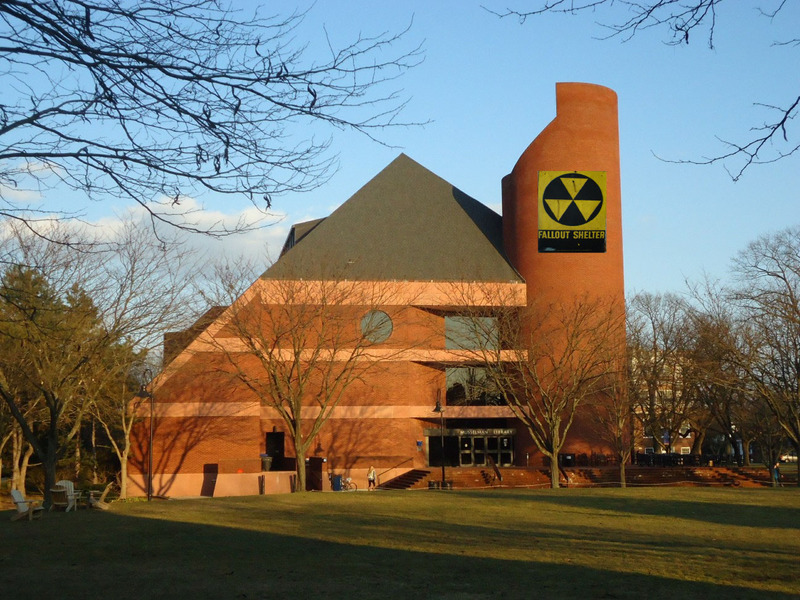 April Fools: Nuclear Armageddon Imminent: Classes Held at the Discretion of Faculty | The Gettysburgian. Editors' Note: This satire article is a part of The Gettysburgian's annual April Fools' special edition and is not a real news story. Musselman Library now brandishes a nuclear fallout sign. (Photo Courtesy of Wikimedia Commons and Flickr). According to reports from scouts posted at lookout points atop the cupola and the Glatfelter bell tower, neighboring communities of Carlisle, Lancaster, and Emmitsburg have hunkered down ahead of an anticipated nuclear attack from North Korea. Spokespeople at those towns’ respective colleges — Dickinson, Franklin & Marshall, and Mount St. Mary’s — scoffed when reached by phone from their fallout shelters when asked if the colleges remained open. A spokesperson for Gettysburg College sent out an email to the campus community reminding everyone of their duty to carry on business as usual no matter the circumstances. Already this year, Gettysburg remained open during a blizzard that dumped nine feet of snow (burying the gazebo, which had to be removed for a second time after snow plows couldn’t see it and “inadvertently” destroyed it as several cheering faculty members nodded in shivering approval), a multi-day power outage that required blowing through the entire profit from the $161 million Gettysburg Great fundraising campaign to purchase sufficient generators to sustain Penn Hall’s HVAC system as at least three students reportedly suffered hypothermia in their dorm rooms, and mold. Lots of mold.